There is just nothing better than a beautiful, inviting comfortable bed after a long day. This Cottage / Country bed set is created using the richest colors stemming from high density Italian ink and the softest fabrics making it the perfect way to spruce up your bedroom, while keeping it ultra-comfortable. This luxurious Floral bed design is made with 100% microfiber polyester, making it ultra-soft to ensure you sleep comfortably all night long. 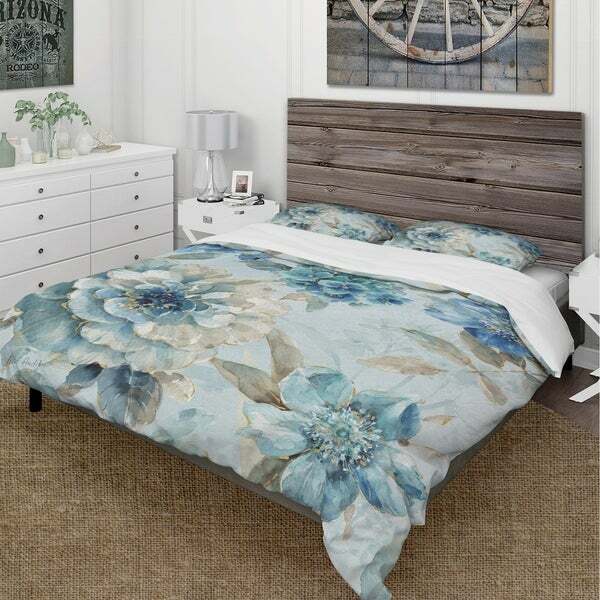 This Farmhouse set includes 1 Bed Cover and 2 Shams and is available in twin, queen and king sizes. - The Traditional bed set includes one bed cover and two standard pillow shams to create a complete and stylish look. "This product has few sizes - Twin, King, Full/Queen but only one measurement in your description. to which size it referrals and what are the other sizes measurements?" Bedding sizes are: 88x104 king, 88x88 queen, 88x68 twin.